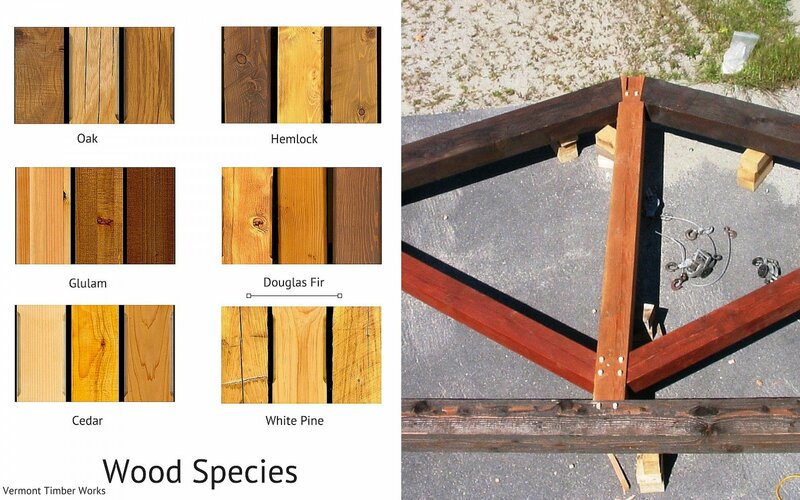 Every Vermont Timber Works frame is custom. That means, as the client, you get to plan the shape of your frame, and decide on the wood species, the timber texture, the joinery style, and the truss design. Some of the design decisions are more complex than others and Derek and Sue, our sales reps, are skilled at working with clients throughout the entire process. This series of posts is going to cover, on a high level, design decisions that were made for 6 different custom timber frames. 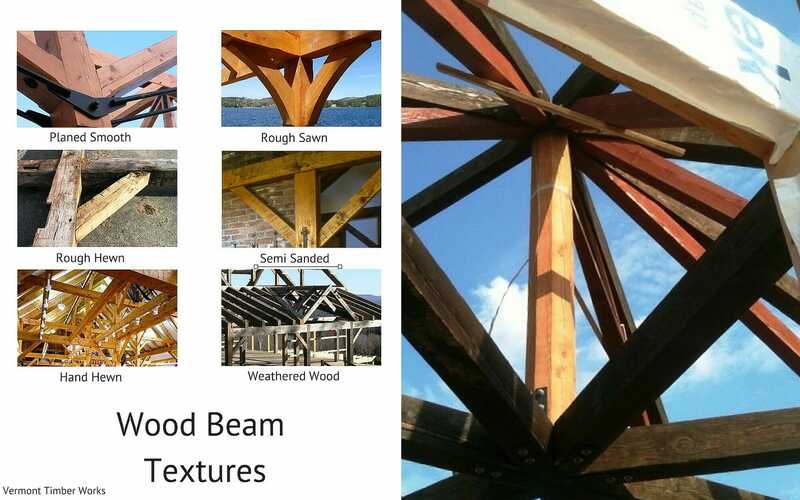 Check out more Custom Timber Frame Design posts here! This week’s post is for a home in Louisiana. Douglas fir is a strong timber with a beautiful grain. We get our douglas fir from a west coast supplier free of heart. Its color ranges from light red to pale yellow. The douglas fir timber in this home is uniquely stained different colors. The Robinson residence has semi-sanded timber. Semi-sanded timber is partially sanded with a belt sander. The saw marks from the mill and the character of the timber remain visible, but most of the roughness is removed and the beams wont splinter or collect dust. 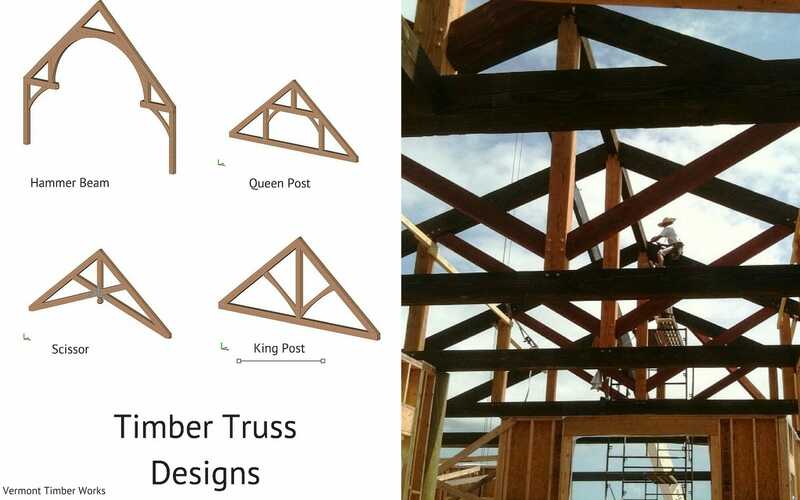 King posts are a common timber truss design. They are strong, cost effective, and can span large distances. The king posts in this home are modified. The completed home has semi-sanded douglas fir timber and king post trusses. 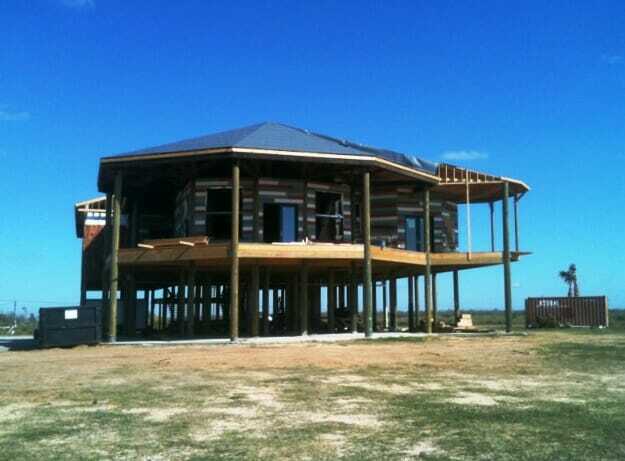 Thanks for stopping by our timber framers blog! If you like this post, or have timber work questions, we invite you to get in contact, ask an expert, or share your thoughts in the comment section below.